HARO has EXCELLENT bikes!! Since 1978! Please check out their site! They have Hardtails, 29ers, 27.5/650s, Full Suspensions, Single Speeds, dirt jumpers, recreational mtn. bikes, BMX, freestyle bikes, hybrids, commuters and more! Established in 1978. 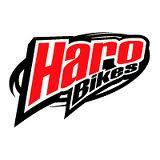 HARO BIKES ROCK!!! You can't go wrong with HARO! MASI = PRESTIGE! Beautifully crafted frames! It's all about the ride, as it's been for over 90 years! Steel, Carbon, Aluminum - ALL MASI bikes are gorgeous! Numerous World Championships. Please check out their site! MASI history, news, models and much more! KHS - Knowledge, Health, Strength! Hybrids, comfort bikes and cruisers. From Miami, Florida, SUN brand bikes get the job done! Beach cruisers, adult trikes, tandems, recumbents, utility bikes, kids bikes, unicycles, commuters, sidewalk bikes and the super comfortable, flat foot, forward bottom-bracket cruisin' bikes!! The PERFECT bikes for the beach! Click on their site to see ALL the bikes they have to offer! Very cool, tough, unique, smart bikes! With models like the 'long-haul trucker', the 'Ogre' and the 'Moonlander', SURLY is without a doubt one of the best bike companies in the WORLD! ​Check 'em out! The have lots more to offer! AWESOME BIKES! BMX WORLD CHAMPIONS! Check out Free Agent bikes, photos, news, history, accessories, the riders and more on the Free Agent website. Custom, one-of-a-kind cruiser bicycles! Beautiful color schemes, nice variety, lots of options! Designers of the 'GREEN' bike and the 'Smoothie'! Check 'em out! Your next bike might just be a Manhattan bike! Origin-8 offers a ton of affordable quality parts, accessories and some very cool and unique bikes, including single-speed, urban, fat-tire and folders. Check 'em out! We proudly order bicycle parts, bikes and accessories from QBP! They have it all! Tons of awesome bike stuff from top notch, big brands! If we don't have what you want in stock, we'll get it, as long as it is available, at VERY comparable prices!! SPECIAL ORDERS! QBP also carries a variety of bikes brands. J & B Importers is a must for us! One of the nations leading bicycle parts distributors. VERY proud to have J & B Importers! Home of the Sunlite and Origin 8 brands. Great people, Great company, Great bike parts for Great rides!! !